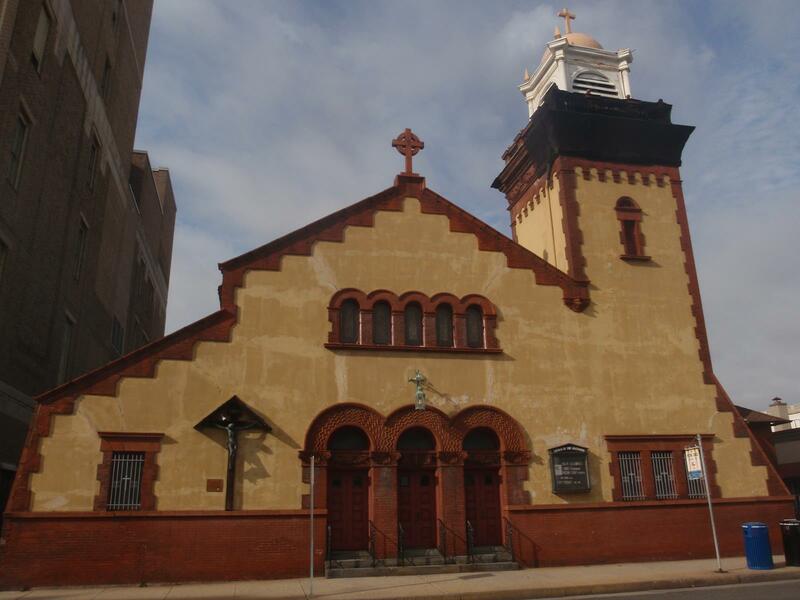 St. Nicholas of Tolentine Church, located on Pacific Avenue, was founded in 1855 and is listed on the National Register of Historic Places. 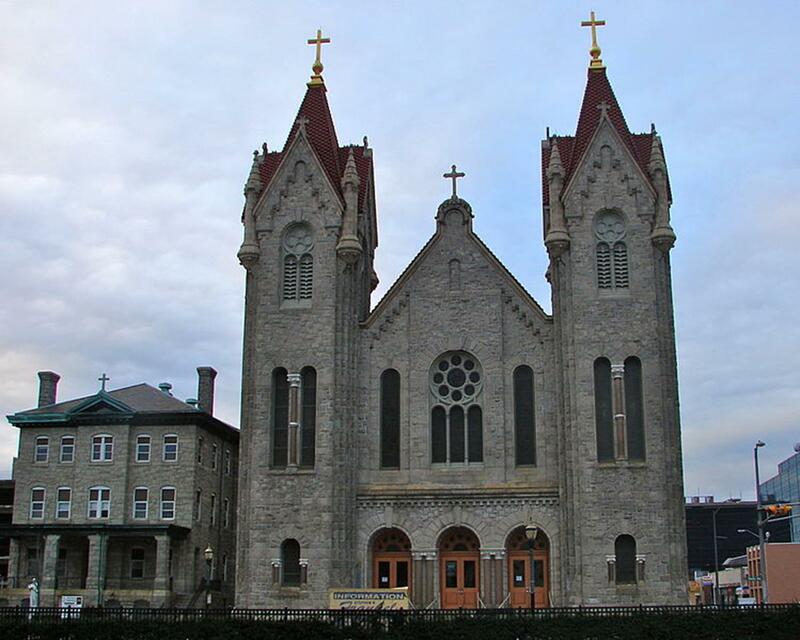 The church claims to be the oldest church in Atlantic City and features 90 stained-glass windows, all of which were made in Munich, Germany. The church has four altars, including one in the Baptismal Church, and offers a Mass in Polish. Our Lady Star of the Sea, on Atlantic Avenue, was founded in 1873 and offers Masses in various languages, including English, Spanish and Vietnamese. The church also has a convent. St. Michael’s Roman Catholic Church, on Mississippi Avenue, was founded in 1904 and once had a convent, which now is used by Catholic Social Services. Church of the Ascension, located on Pacific Avenue, was built in 1893 in Romanesque style with terra cotta and brick construction. 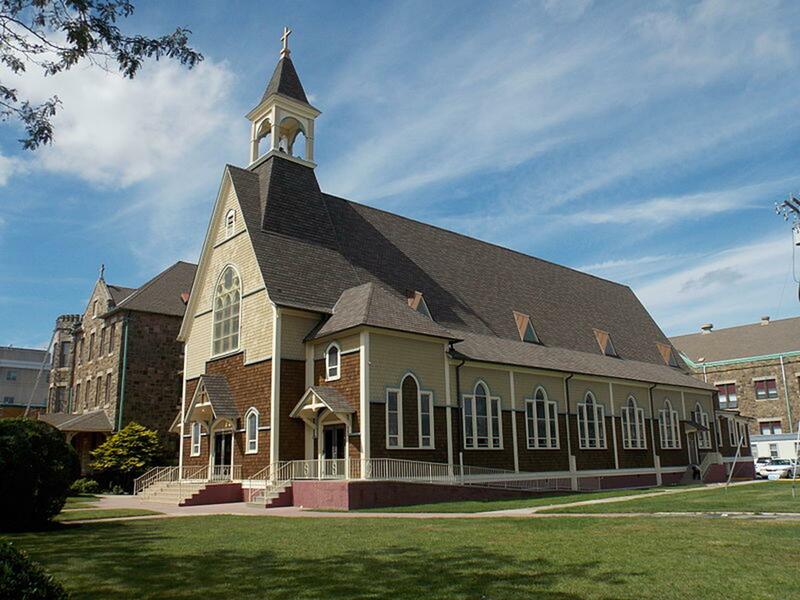 The church is listed on the National Register of Historic Places. Chabad at the Shore, located in nearby Margate City, is part of the largest international organization associated with Jewish education and outreach programs with over 2,500 branches. Atlantic City Historical Museum and Art Center, located on Garden Pier, showcases the history of Atlantic City with exhibits such as “Atlantic City, Playground of the Nation,” featuring artifacts, costumes and photographs. Absecon Lighthouse, built in 1857, is the tallest lighthouse in New Jersey with 228 steps and the third tallest lighthouse in the U.S.
Civil Rights Garden, located on Pacific Avenue and Dr. Martin Luther King Boulevard, contains gingko trees, sculptures and granite columns with inscriptions related to the civil rights movement. The Walk is a 15-block retail outlet mall that also features dining and entertainment venues. This open-air shopping center has 100 well-known retail stores, including Coach, Eddie Bauer and Old Navy. 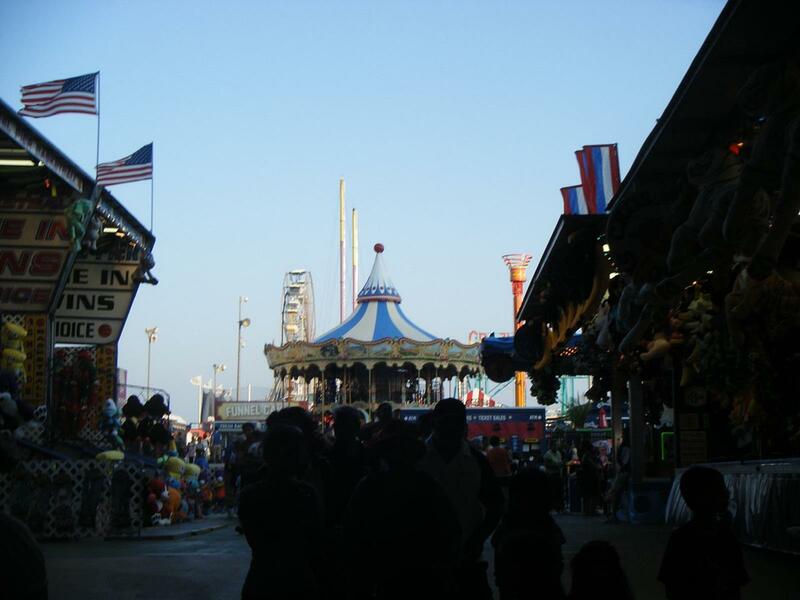 Steel Pier, an amusement center located along the Atlantic City Boardwalk, was built in 1898 and is known for its rides, games and performers. 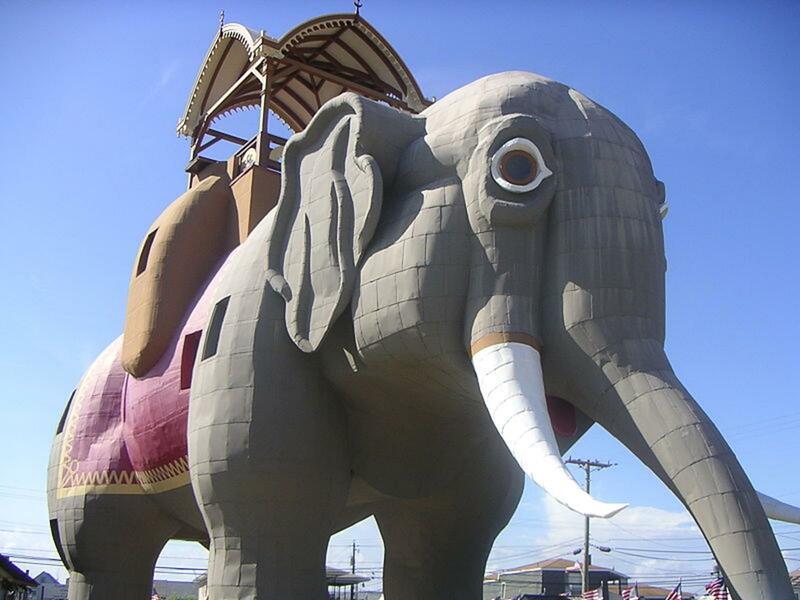 Lucy the Elephant is six stories high (65 feet tall) and was built by real estate developer James V. Lafferty in 1881 to draw potential buyers to his properties. The novelty architecture is located in Margate, just a few miles away from Atlantic City. Guests can climb a stairway through her hind legs for a panoramic view. Ripley’s Believe It or Not! Museum, located along the Atlantic City Boardwalk, features a Peel Trident car known as the world’s smallest production car, a human shrunken head and a life mask of Lincoln made in 1860. Atlantic City Cruises offers oceanfront skyline views of the city on its dolphin watching tours. A.J. Meerwald, listed on the National Register of Historic Places, is considered New Jersey’s tallest ship. The ship sails from Historic Gardner’s Basin, New Hampshire Avenue and the Bay, and is a restored 1928 Delaware Bay Oyster schooner ship. Groups up to 44 guests can reserve the ship for two and a half hours up to a full day of sailing. Tours are available April-October. 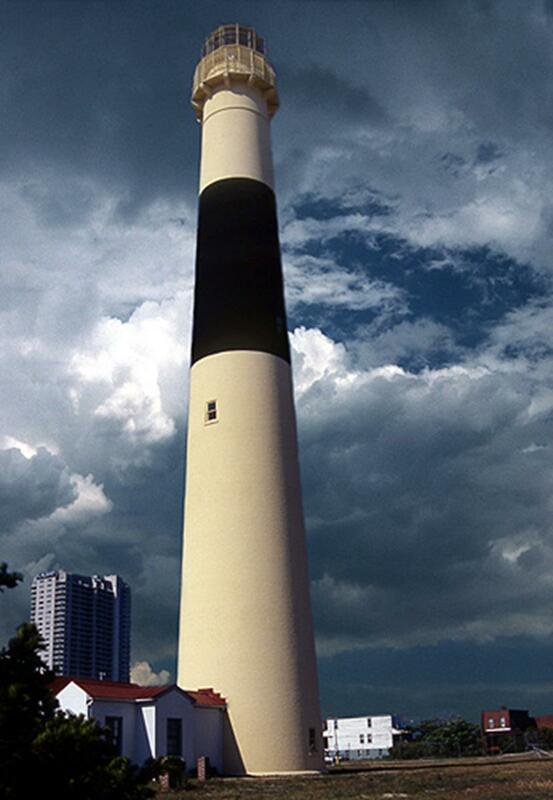 Great American Trolley Company offers a “Splash of Atlantic City Tour,” which educates guests about the Boardwalk and Absecon Lighthouse, where guests can climb 228 steps to the top. Guests also visit Historic Gardner’s Basin and the Atlantic City Aquarium. Morning and afternoon tours last three and a half hours. Royal Rolling Chairs offers Boardwalk tours and has been around since 1887. Guests can relax with up to three people while an attendant pushes the rolling chair along the Boardwalk. B&K Bicycle Rentals, located along the Boardwalk, has locations near Resorts Atlantic City and Tropicana Casino and Resort. 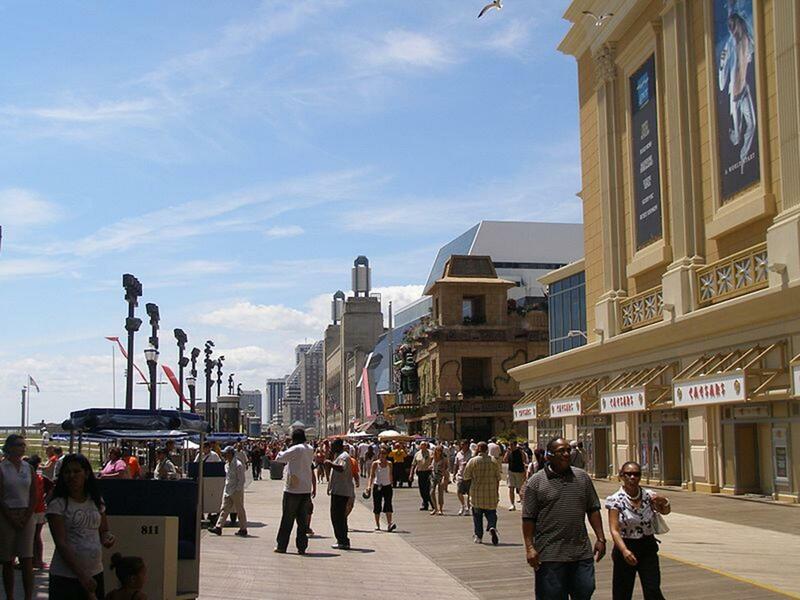 Atlantic City Airshow, “Thunder Over The Boardwalk,” begins mid-August at New Jersey Avenue and the Boardwalk. The air show claims to be one of the best in the country with demonstrations and stunts performed by the U.S. Air Force, Army and Navy. Summer International Nights, located at Kennedy Plaza on the Boardwalk, offers multi-cultural live music and performances on Wednesdays in July and August beginning at 7 pm. Atlantic City Short Film Festival begins mid-April and accommodates producers, directors, casting directors and actors as the celebrity judges with independent film makers from around the globe. The festival offers categories for drama, horror, thriller, comedy and documentary. Around-The-Island Marathon Swim in August is considered one of the toughest swimming events in the world. Swimmers start from Gardner’s Basin and swim 22.5 miles with obstacles of tide and current. Crowds gather around the Basin to watch swimmers finish the hardest part of the event. 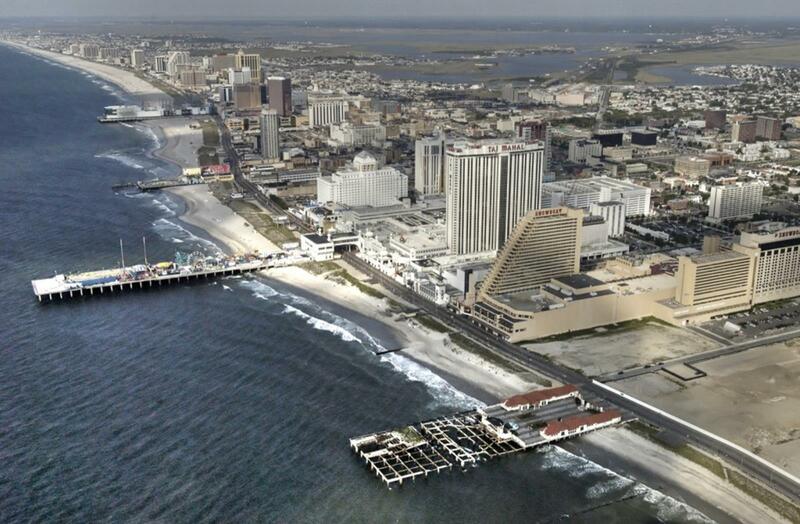 Atlantic City In-Water Powerboat Show occurs in the second week of September next to the Trump Marina Hotel Casino and features yachts, cruisers and sport fishing. Atlantique City Spring & Fall Festival, by Atlantic City Convention Center, occurs late March and October and claims to be the world’s largest indoor art and antique show. The fairs feature collectibles from places like Britain, Canada and China. The two-day New Jersey Fresh Seafood Festival occurs the second weekend of June at the Historic Gardner’s Basin and features samplings of seafood along with crafts, arts and music. Religious group travelers who travel to Atlantic City will rejoice in the city’s vibrant culture and sightseeing opportunities. Sightseers in Amsterdam find museums, churches and synagogues that shed light on centuries of Dutch religious heritage.